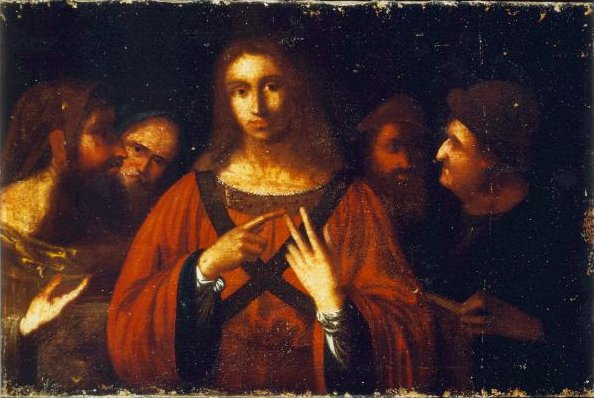 “Christ Among The Doctors”, a Painting Study (c.1472-95 or c.1500-05) by Leonardo da Vinci (b.1452–d.1519). 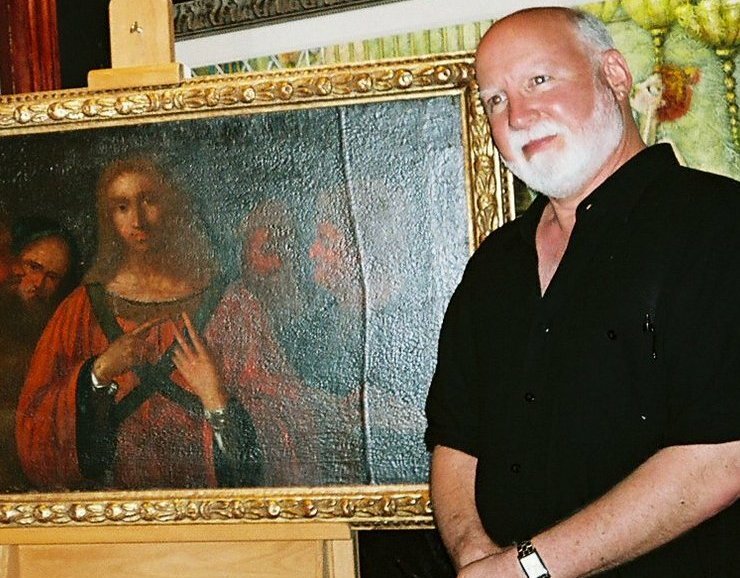 Since 1994, Jeffrey A. Dering has been part of a team of experts involved with “Christ Among The Doctors”, a Painting Study (c.1472-95 or c.1500-05), by Leonardo da Vinci, providing expertise in management of the historic, fine art asset, including the authentication process, provenance, conservation, historical research, scientific forensic analysis, security, transport, insurance, publication, exhibition, marketplace analysis, fair market valuation and marketing. 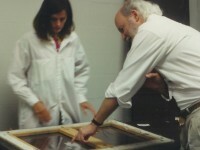 This compositional design depicts the New Testament event of the adolescent Jesus meeting with the Teachers, or Rabbis (the Doctors). 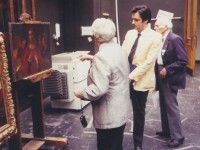 The painting sketch features a central Christ figure surrounded by four of the Doctors. 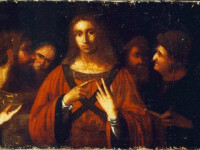 Experts have agreed Leonardo painted the youthful adolescent figure of Christ in the painting, then later (precisely “when” is debated) in a compositional design experiment in his painting sketch (study), he added four “Doctors” (the “Rabbis”) later, but, in a less detailed manner. It is possible Leonardo’s students assisted him in rendering the doctors. 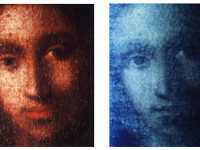 Some experts believe Leonardo was responsible for painting the slightly more mature variation of Jesus in the Study using an “over glazing” technique, disguising the delicate features of the original youthful Christ figure. 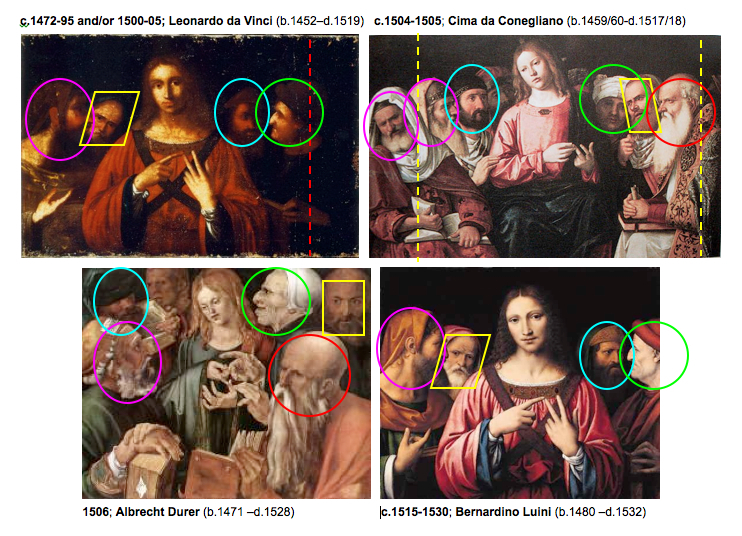 Historical research indicates Christ Among The Doctors, a Painting Study (c.1472-95 or c.1500-05) by Leonardo da Vinci, not only pre-dates the copy variations of Christ Among The Doctors by Giovanni Battista Cima da Conegliano (c.1504-05), Albrecht Durer (1506), and Bernardino Luini (c.1515-30), but, scientific forensic analysis by Dr. Walter C. McCrone, Ph.D., McCrone Research Institute indicates the dating time frames and evidence of Walnut Oil Binder support the conclusion that Christ Among The Doctors, a Painting Study was painted by Leonardo, and, by virtue of scientifically established chronology, predates the subsequent copy variations by Cima, Durer and Luini. In addition, the original design composition for Christ Among The Doctors, a Painting Study by Leonardo serves as the “father” of this design composition and pre-dates the other design variations, which places it prior to Cima’s variation, or perhaps even earlier in the case of the central Christ figure. 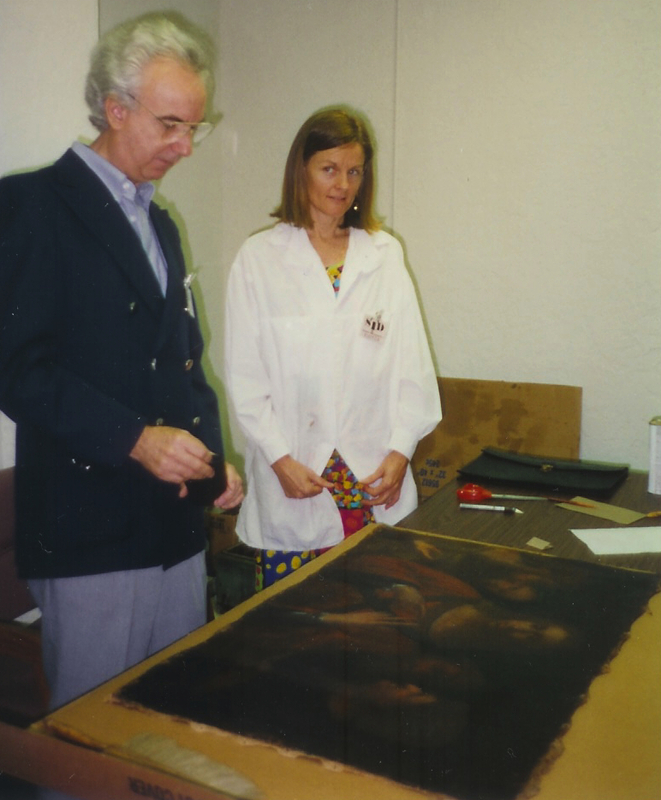 Continued research will enhance the knowledge, history, provenance and authentication of Christ Among The Doctors, a Painting Study by Leonardo — and its relationship with its family of design variations by Cima, Durer and Luini. 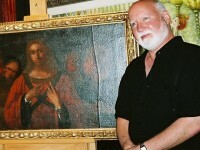 The Mysterious Image of Jesus Beneath the Painting Study of “Christ Among the Doctors” by Leonardo da Vinci. 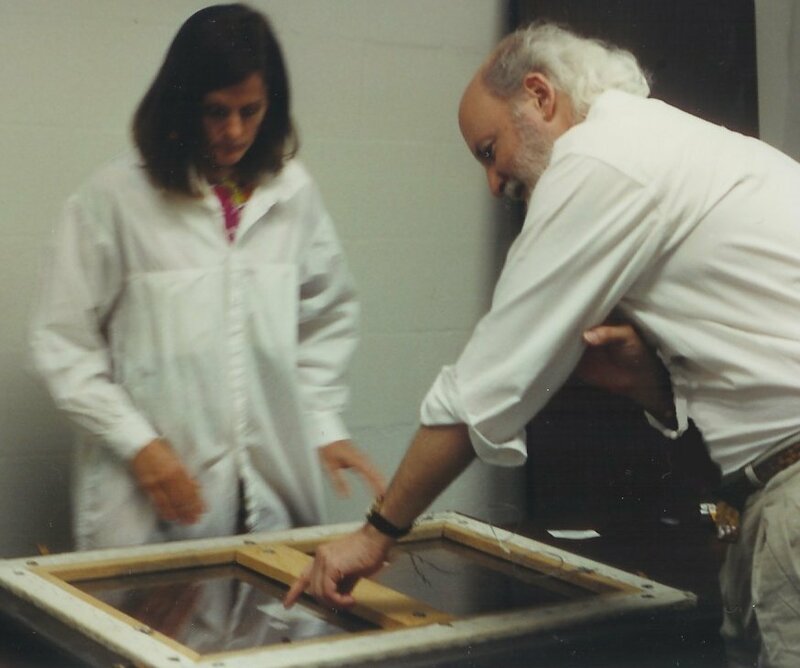 Holding ultraviolet light over this painting, amazingly, another image of Jesus emerges from beneath the glazed surface of the central Christ figure. 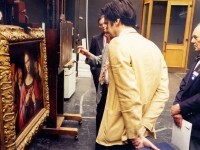 It is a youthful, beautiful, adolescent Christ figure whose facial features and hands are more delicate and refined. 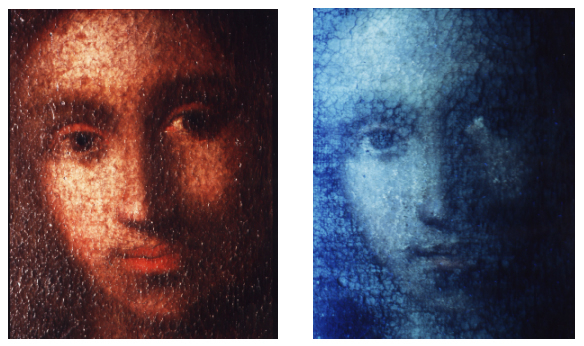 Details such as the “cupid’s bow mouth”, the “eyelids”, the “ringlets of hair” and “elongated fingers” are unmistakably typical of da Vinci’s style before he arrived in Milan. Leonardo & Luini Hang Side-by-Side for One Day in London’s National Gallery of Art. 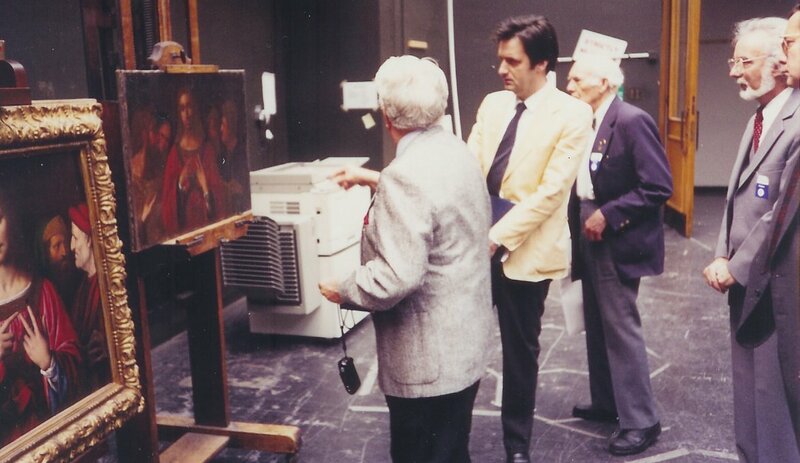 Dr. Nicolas Penny, Ph.D., Director, National Gallery of Art, London, UK (former Curator of Renaissance Paintings). 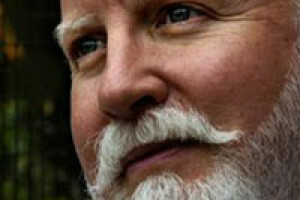 Dr. Walter C. McCrone, Ph.D. , Forensic Scientist, Director, McCrone Research Institute, Chicago, IL and London, UK. 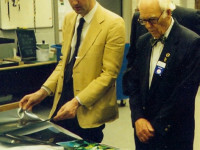 Dr. Joseph A. Polizzi, Ph.D. , Italian Renaissance Scholar, Professor Emeritus and Chairman Department of Sociology, St. John Fisher College, NY. 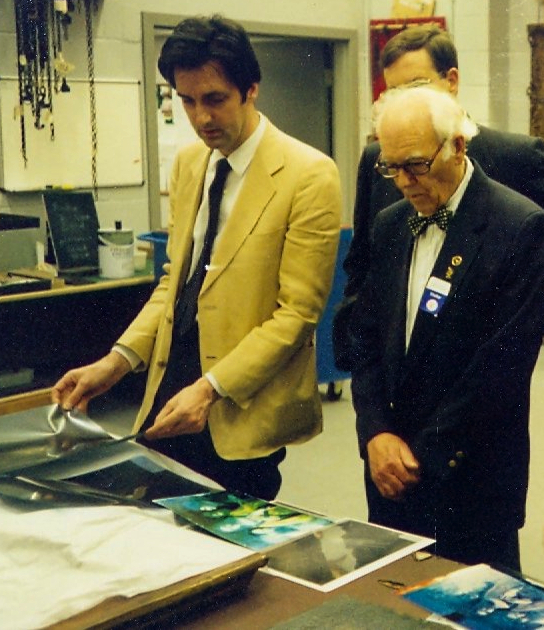 Jeffrey A. Dering, Principal, Dering Fine Art Consultants, Sarasota, FL (former Museum Director, National Geographic Society, Washington, D.C.). Dering authored “Christ Among the Doctors” from Leonardo to Luini: An Evolution In Design Composition (© 2005 All Rights Reserved), a comparative design analysis of, and chronological design evolution of, the original design composition of the painting study entitled Christ Among the Doctors attributed to Leonardo da Vinci (c.1472-95 or c.1500-05), and its influence upon subsequent variations adapted by Giovanni Battista Cima da Conegliano (c.1504-05), Albrecht Durer (1506), and Bernardino Luini (c.1515-30).